Bombs dropped by fighter jets are pulverizing Yemen’s architectural history, possibly in violation of international humanitarian law. 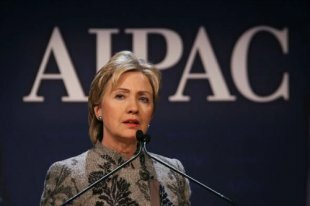 And now, newly released emails show that her aides kept her well-informed of the approval process for a $29.4 billion sale in 2011 of up to 84 advanced F-15SA fighters, manufactured by Boeing, along with upgrades to the pre-existing Saudi fleet of 70 F-15 aircraft and munitions, spare parts, training, maintenance, and logistics. The email string was part of a new batch of emails from Clinton’s private server, made public on Friday evening as the result of a Freedom of Information Act lawsuit. One American official, whose name is redacted in the emails, said he had just received confirmation that Prince Salman, now the king of Saudi Arabia but at the time the senior Saudi liaison approving the weapons deal, had “signed the F-15SA LOA today” and would send scanned documents the following day. “Not a bad Christmas present,” he added. Another official, whose name is also redacted, confirmed that a Saudi general who had been working with U.S. officials was “pleased, as are all of us,” and said he would soon contact executives at Boeing. On December 26, Jeremy Bash, then-chief of staff at the Pentagon, sent the email string, titled “F-15SA Christmas Present,” to Sullivan, who sent it to Clinton with his own note at the top. David Sirota and Andrew Perez have previously reported for the International Business Times that Clinton’s State Department was heavily involved in approving weapons sales to Saudi Arabia. As weapons transfers were being approved, both the Kingdom of Saudi Arabia and Boeing made donations to the Clinton Foundation. The Washington Post revealed that a Boeing lobbyist helped with fundraising in the early stages of Hillary Clinton’s current presidential campaign. Jeremy Bash is now managing partner at Beacon Global Strategies, a consulting firm that provides advice to Clinton on foreign policy while providing paid advice to the military contracting industry.